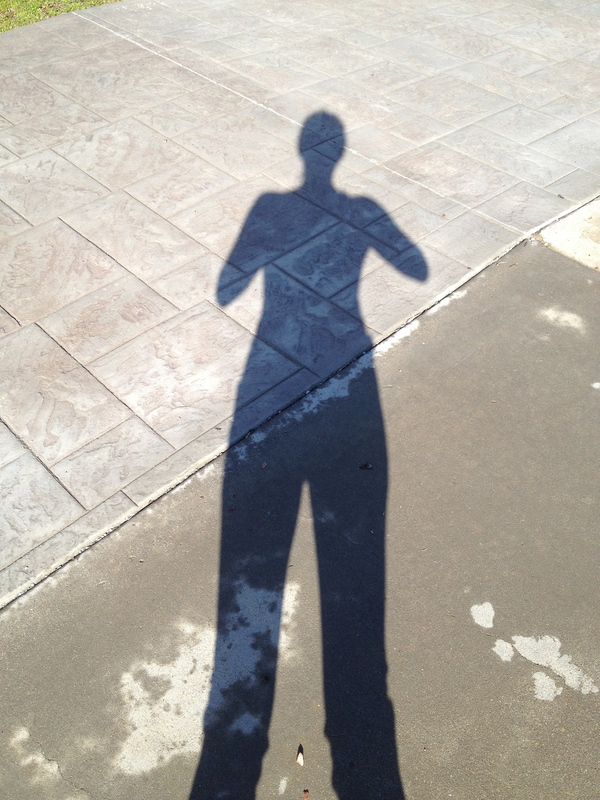 When you are out walking or running, angle yourself with the sun behind you, creating a shadow in front of you. Instead of running through your "to-do" list in your mind during your time outside, tune into your movement! Watch your shadow and observe the movement you see without judging it or making assumptions. Do you see symmetry? asymmetry? Do you arms swing away from your body the same distance? When you shift weight to one leg to step does your torso shift evenly? Do your shoulders and hips rotate the same on both sides? What happens if you see an asymmetry and try to correct it? Yes! The right elbow (my left) is abducted or further away from my body than the left. I see this commonly with people when I am out running. I notice that one arm strays from the body more than the other, causing an increased thoracic rotation (or vice-a-versa) which also affects the hips, feet and neck. Everything is connected! And its hard to say where that compensation starts. Which came first, the chicken or the egg? If you notice a major difference in your own body, come in for an assessment and we can figure out where the culprit is in your body. We aren't supposed to be perfect, but we also need good mechanics to have healthy joints if we are exercising. Fitness can be helpful or hurtful depending on how you approach it. If you are an avid runner, having an evaluation can save you from potential injuries down the road (literally!) Have fun and send me any questions you have!